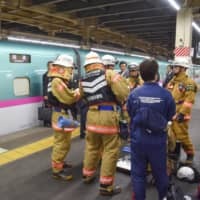 SAITAMA - A mobile battery belonging to a bullet train passenger began emitting smoke on Friday, sending four passengers to the hospital. 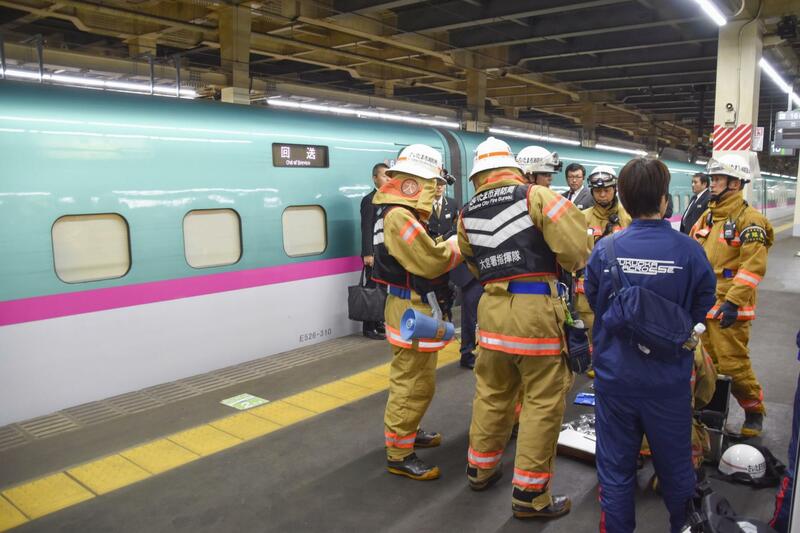 East Japan Railway Co. said a conductor stopped the burning but that four female passengers who said they felt unwell were transported to hospitals. Another passenger later claimed to have suffered a burn in the incident. The Omiya Police Station in Saitama Prefecture said smoke may have started coming from the battery after a female passenger dropped it on the floor but that the cause was still under investigation. 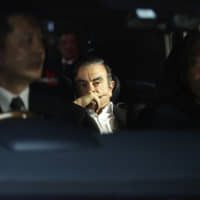 The train was running between Tokyo’s Ueno Station and Omiya Station in Saitama Prefecture on the Tohoku Shinkansen Line. The train, bound for Morioka, Iwate Prefecture, arrived at Omiya Station nine minutes late and further operation was halted. Over the last year, a series of similar incidents involving electronic devices has been reported aboard trains. 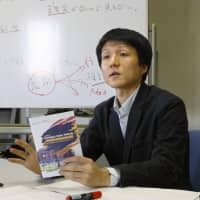 In September last year, a bullet train passenger’s tablet computer started smoking and burned a seat as the train traveled between Shin-Yokohama and Shinagawa stations. 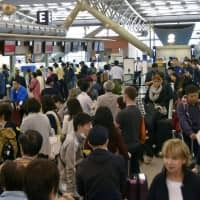 In September this year, a woman got a burn on her ankle after her mobile battery caught fire inside her bag aboard a shinkansen running between Nishi-Akashi and Himeji stations.